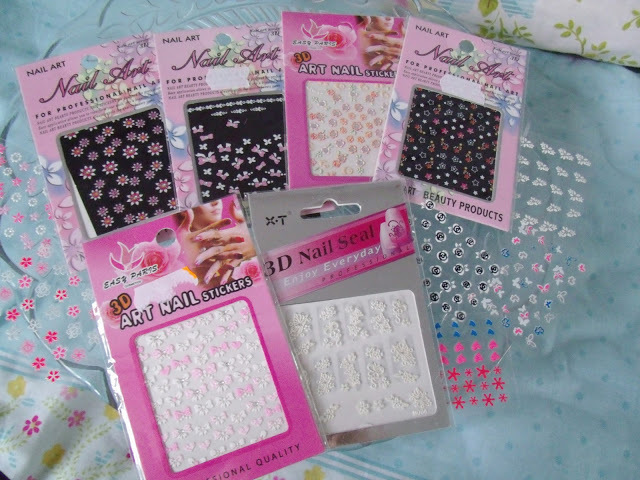 I rarely do much nail art using patterns and snazzy stuff, but I have purchased a few nail art products which should be useful when I have time to do some proper art! So I thought I’d do a little overview of what I use when I do have the time. I find that one of the easiest things to use are nail art pens. I picked most of mine up in Poundland, and they come in a few different colours. They have a tiny pin head nib which you can use to do fine details. I find these especially useful for doing dots and fine lines! The Poundland ones in the middle are actually really good, and they are long lasting too. One of my ways of cheating nail art is by using stickers! I picked all of these up on eBay or on holiday in Spain. The Chinese sellers sell these packs for less than £1 each and there are literally hundreds of designs to choose from. They’re really simple to use, you just need to apply them to your nail and then go over them with a top coat, and I find they last for days. 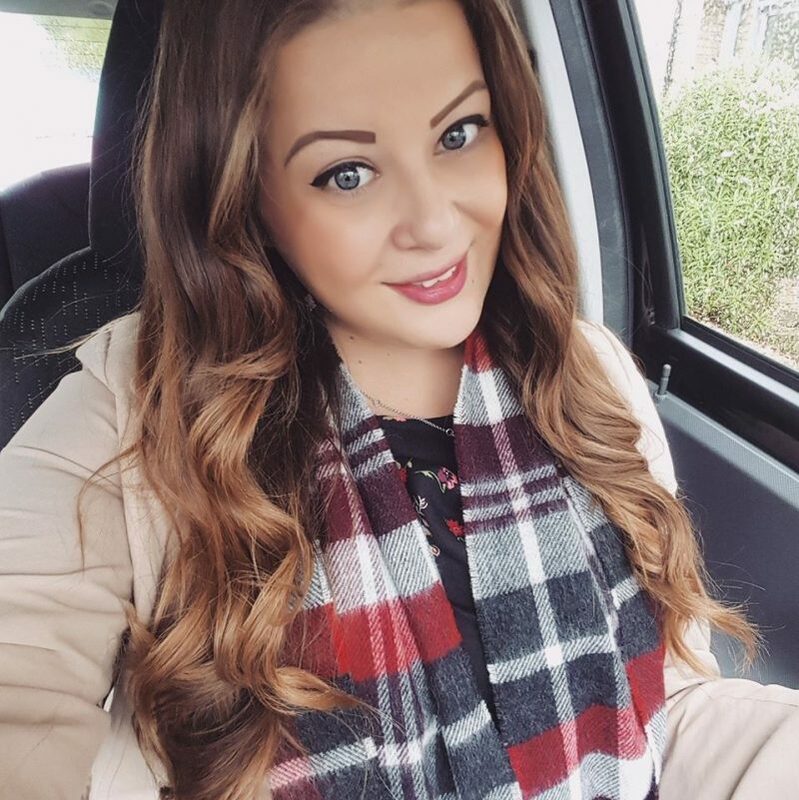 My favourite stickers are the lace effect ones and bows! They look as if they have been really carefully painted on! I bought this nail art brush set off of eBay from China for a couple of pounds. 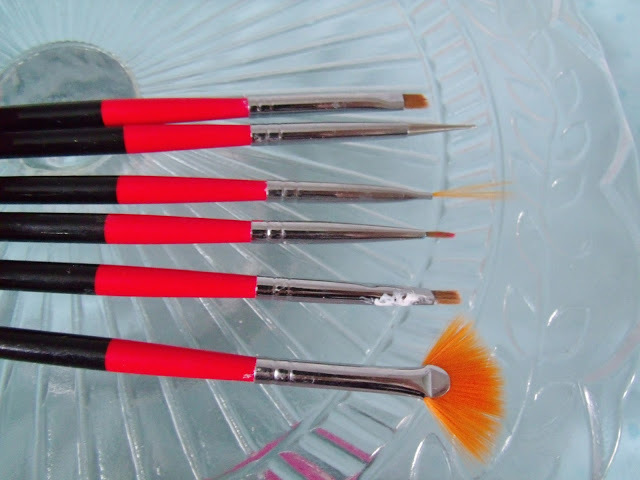 It comes with six different brushes. I’m not entirely sure of each of their uses.. but the metal headed one is great for dotting, and the fine brushes are great for detail. I’m not sure what the big fan one is for though! 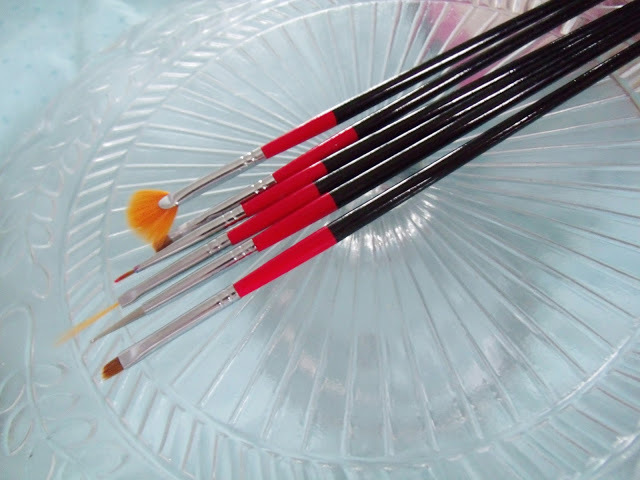 These are great for using when the nail polish brush is just too big. And finally, another nail art buy from Chinese sellers. 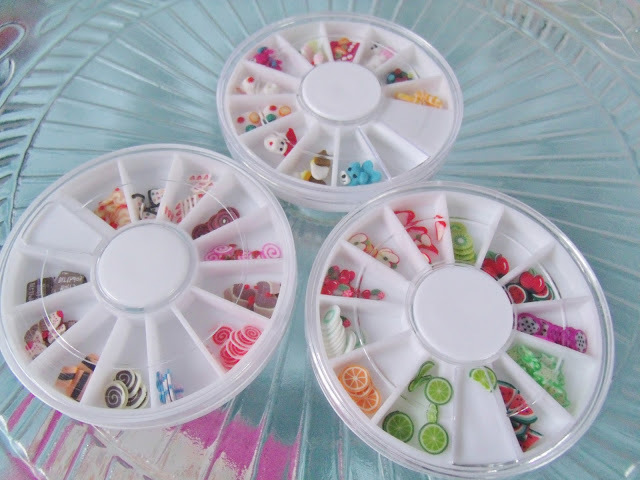 These little tiny nail decals are a little bit fiddly but can look really cute. I haven’t quite mastered them yet, but these come in tonnes of designs and I especially love the fruit and cake ones! I use nail glue to stick them on, but I find that they only last a day of two before they disappear! I think it’s because the surface of the nail isn’t very flat and these are flat backed. They’re a nice temporary bit of fun though! Have you tried any of these? Do you have any tips or tricks for nail art? the little fruits are called fimo canes and you stick them up on top of wet/tacky polish then go over them with a top coat. Great tip on the Poundland nail art pens! Hope you enjoyed your class!! 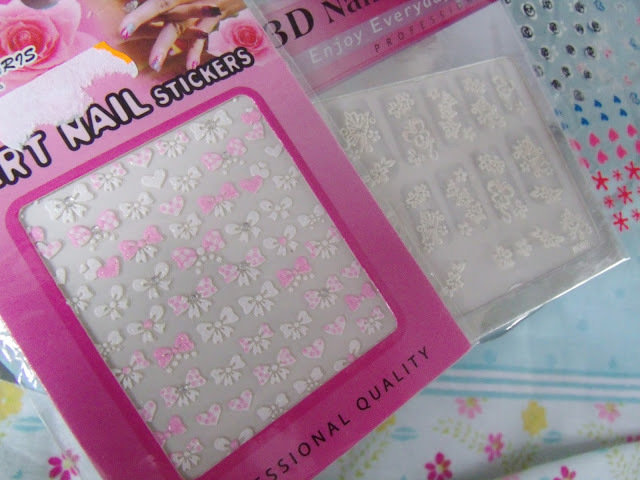 I really want to get some nail art pens, so off to Poundland I shall go! BTW, about your Spin class – take it easy!! I seen some people saying the same thing to you on Twitter. But seriously, don't overdo it or you'll be unable to walk normally for days after.